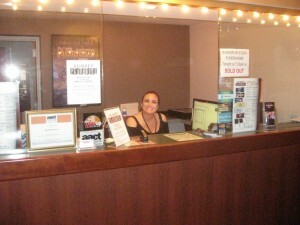 Our box office is open from 1-7 PM Tuesday, 1-5 PM Wednesday through Friday, and 1-4 PM on Saturdays. Please leave a message and a box office representative will return your call. Please note: if calling one hour before the start of a performance, we will be unable to take your call as box office representatives will be assisting walk up customers purchasing tickets for the performance. If you are calling to inquire about ticket availability for that show, unless you hear a message stating tickets are sold out, you will be able to purchase at the window, one hour prior to the performance. Please arrive early to select the best available remaining seats for the production. You may also e-mail us at boxoffice@sunsetplayhouse.com.